Children’s National Health System has named His Excellency Yousef Al Otaiba, UAE Ambassador to the United States, and his wife, Abeer, as recipients of the second annual Joseph E. Robert, Jr. Prize in Philanthropy, created to honor families who have given back after having a personal experience with the institution.At a Feb. 24 event celebrating philanthropy and honoring the Al Otaibas, Dr. Kurt Newman, president and CEO, said, “Few people have impacted our organization over the past decade as much as this special couple. To all of us at Children’s National, they are true friends, generous donors, influential partners, and ambassadors (literally). 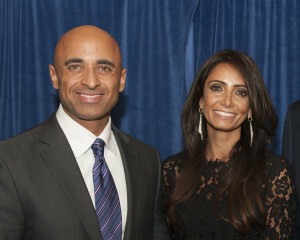 They have done so much to help children in Washington and throughout the world, and their impact just continues to grow.”Ambassador Al Otaiba played a major role in establishing the Sheikh Zayed Institute for Pediatric Surgical Innovation in 2009, which has advanced surgery, pain medicine, and other innovations for children’s health. The Ambassador and Abeer co-chaired the record-breaking Children’s Ball in 2014, which raised a record $10.9 million, making it the most successful nonprofit fundraiser in Washington’s history. Both the ambassador and his wife have served as partners and advocates for children in the Washington area and around the world.The Prize is named for philanthropist and business leader Joseph E. Robert, Jr., whose generosity and vision helped transform Children’s National into a medical and research system with international reach. His philanthropic support helped create the Joseph E. Robert, Jr. Center for Surgical Care, and he was instrumental in building support to establish the Sheikh Zayed Institute for Pediatric Surgical Innovation. 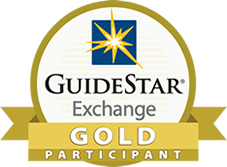 The first Prize in Philanthropy was awarded to Amy and Bret Baier in 2014.